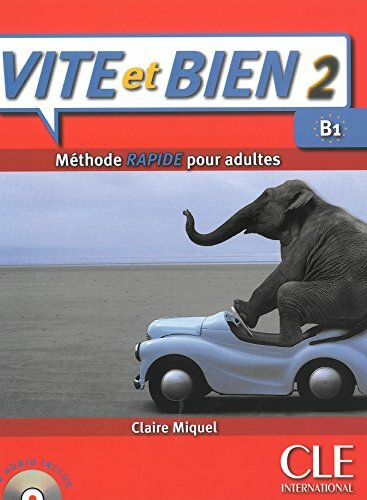 The new intensive training in French for adults. VITE ET BIEN 2 covers B1. Designed for intensive study, VITE ET BIEN contributes to the rapid mastery of communicative skills, spoken language, while also providing a solid knowledge of grammar and vocabulary. On the left side click on the Paperclip/Attachment icon. You'll see 61 audio files. Click on it, your default audio player will play it. 6. Right click on it and choose option Save Attachment when pop-up window appear. 7. Now find where your AUDIO folder is located and select it. 8. All your files will be saved there. Last edited by arcadius; 12-10-2018 at 09:11 PM. Book ReUploaded and more links added. Check the header. Hello, links above do no work, please, do you have another ? When I try to download the audio, its taking me to filecloud.io, Its saying I should sign up. Please let me if I need to sign up to download. @vsurenk , really don't know why that happened. Try again to download the file/files. If it still needs registering, do register it's still free.